The Start: the 1960’s, a decade of innocence and the carefree family outings of childhood; a time of self-definition, of cultural awareness, of observing and realizing the comparative advantages of having your origins in the Greek countryside. The Turning Point: studies in Architecture; reevaluation of the experiences of the vulnerable childhood years; the absorption of the concept of "aesthetics", a concept directly interwoven with the concept "culture"; grasping the enormous worth of traditional architecture and viewing it, on the one hand, as a creation of the "anonymous" locals in order to fulfill their needs, their way of life, their interrelations, their land, and that land’s terrain; and, on the other, as a contribution to understanding the principles behind stewarding space as "tissue", be it structured or structure-free. The Journey: My encounters with people at the crossroads of their lives in 1980; our common ancestry; the visit to the Cycladic Island of Tinos, to the white, fortified, housing cluster of the traditional village of Tripotamos; the contact and acquaintance with the man-made landscapes, with the local people, with the local traditions and customs. The Start, the Turning Point, and the Journey: all links of an invaluable chain. The four housing structures, which stood abandoned for years on end, were bought one at a time, between 1993 and 2008. They were what we call an "impulse buy" and were all located within the housing settlement of the village Tripotamos, which is listed as Traditional. Their structural condition was poor, their surrounding area neglected, their sustainability on the decline. The task of giving them new life became the motive behind the effort towards restoring them and reusing them. 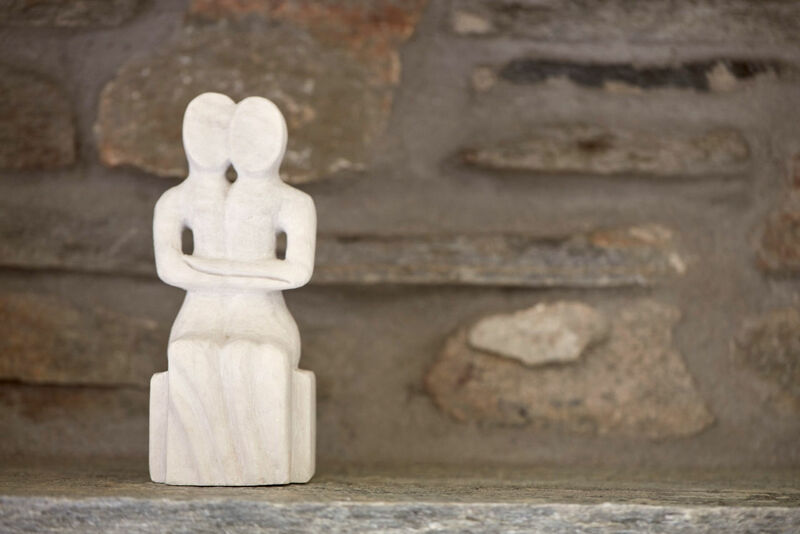 Enriching habitation and reactivating the tissue of the Traditional Cycladic village became the prerequisites for the definition of their new use: countryside boutique hotel in the Traditional accommodations category. And so we began. Restoration of the buildings to our unique countryside boutique hotel on Tinos Island was launched in 2007 and it will be completed in 2017. Everything was done by hand. We retained the structure and traditional elements of the buildings and recycled the old Tinian schist stone, in parts of the buildings that were taken down and rebuilt. In choosing our materials we were guided by how friendly they were to the older structures, how durable they would prove to the new use we intended them for, how they would withstand the passage of time, and how eco-friendly they tested. 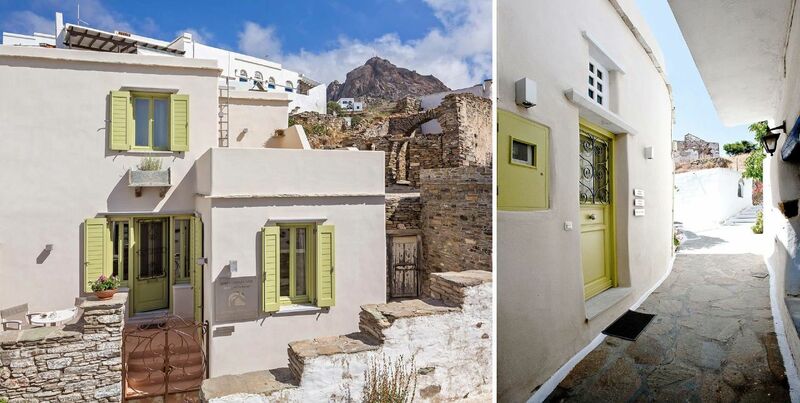 By respecting and retaining the way the structures were built, a way that is part of the housing tissue of the Traditional Cycladic village, we succeeded in reinforcing their bio-climatic behavior. In simple terms, that means that the accommodations are naturally cool in summer and, thanks to the necessary insulation, naturally warm in winter. The buildings’ outline was retained and the inner space concealed within the shells proved adequate for the intended new use: a countryside hotel offering a comfortable stay within Tinos Island’s heartland. The old furniture was repaired and each piece found its proud place in the new spaces. 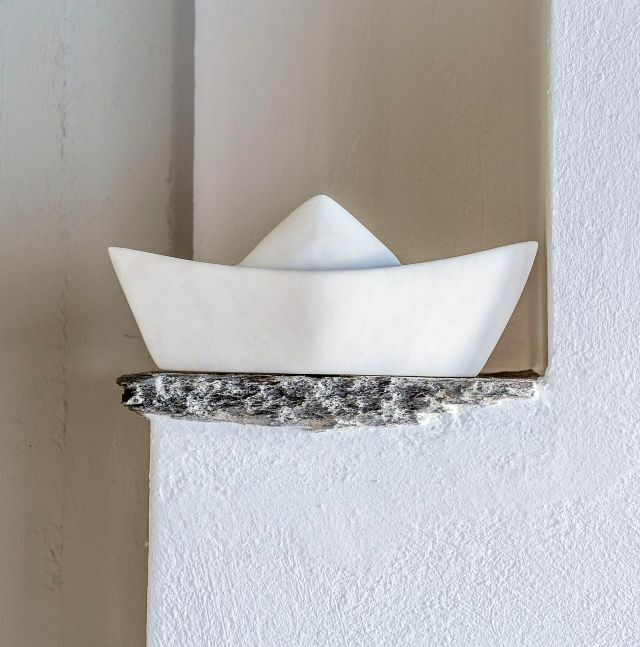 We made sure that the newer built additions were an integral part of the buildings and that the newer furniture, enthusiastically and masterfully handmade by Tinos craftsmen, was also in harmony with the older furniture. 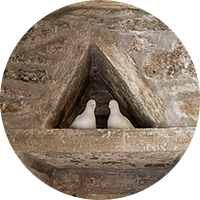 The gradual restoration of the buildings inevitably brought about the gradual operation of the countryside boutique hotel Crossroads Inn, whose first phase began in 2009. Our initial capacity was 7 beds. Since 2017, it is 25 beds, after the intergration of four new accommodations. How did we come up with the name Crossroads? First of all, we wanted our boutique hotel’s name to express the bond between and among the villagers in the small community of Tripotamos, Tinos Island. We also wanted it to reflect the fact that everything at Tripotamos is actually a crossroad from the labyrinthine, vaulted alleyways crisscrossing and the maze of white-washed houses that meet and part to the village’s three rivers which, silently running underneath the village’s tissue, converge. Since 2009, we have been steadily developing our Crossroads Inn countryside boutique hotel concept. 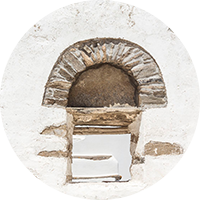 Our focus has been on providing you with hospitality in the authentic way of the Cyclades. 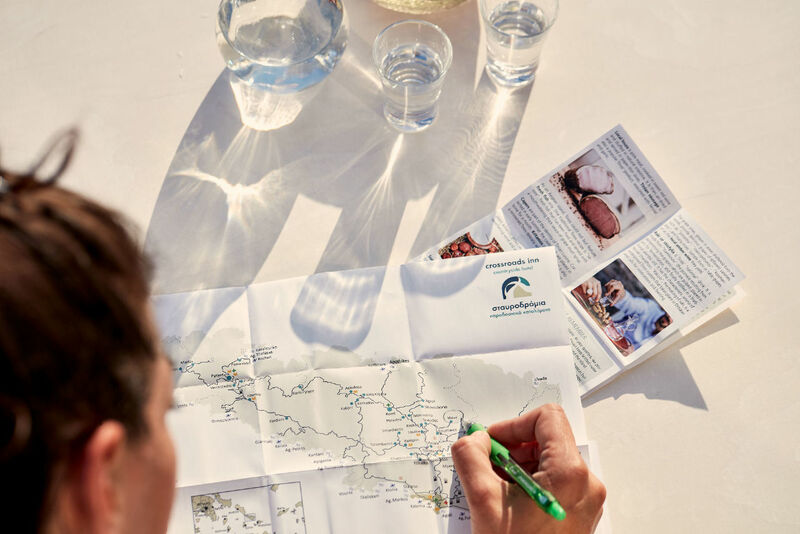 Our goal is to offer you the experience of living the life local, of becoming part of the village’s captivating environment, during your accommodation in our boutique hotel. To our own experiences gained while creating the ambiance of comfort at your accommodations, we add and welcome the suggestions and recommendations of our guests themselves. After all, constructive criticism is of vital importance in our task towards maintaining quality, while fulfilling your needs during your holidays at our countryside boutique hotel, the Crossroads Inn. 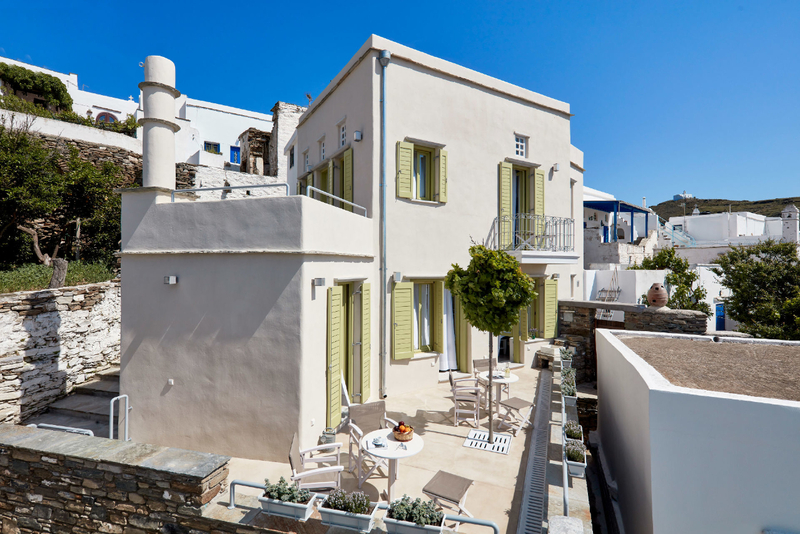 Crossroads Inn boutique hotel in Tinos Island! Welcome!